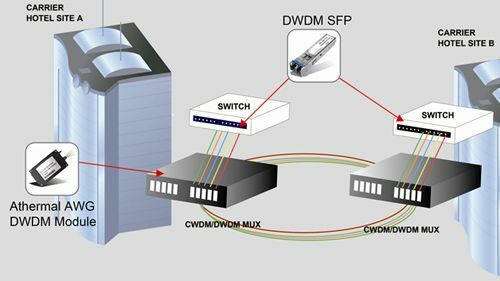 Unique operator solutions for optical networks offered by engineers of our Company are based on benefits and features of CWDM and DWDM wavelength division multiplexing systems. 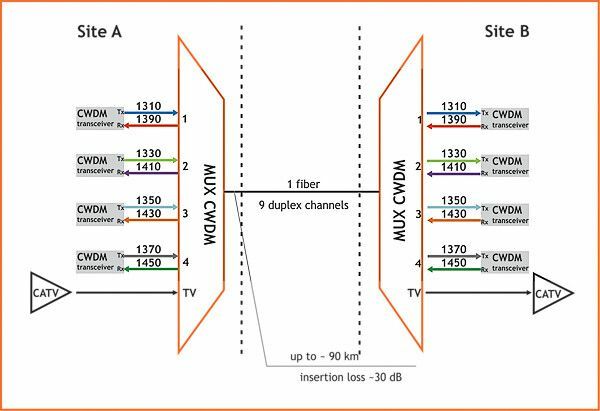 Wavelength division multiplexing technologies allow to arrange a duplex transmission of multiple data streams via a single optical fiber at different carrier frequencies. 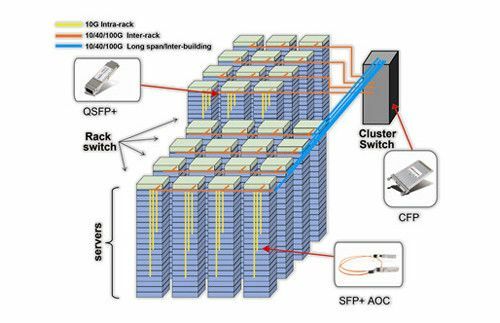 Due to the fact that multiplexing systems support all data transmission protocols, various telecommunications services, such as data transmission, voice communication, and multimedia, can be implemented in one transport medium. 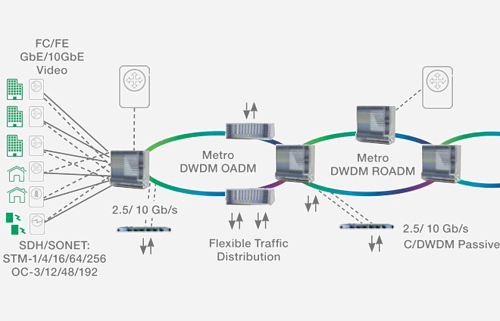 Wavelength division multiplexing systems provide operators with flexible opportunities of traffic delivery both through the construction of new network architectures and on the basis of existing networks. 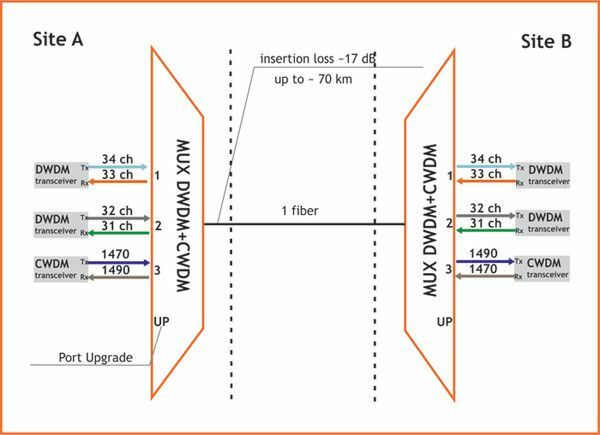 Using fibers of a previously constructed optic transport network provides significant cost savings for construction and modification of fiber lines, nodes, fiber lease. 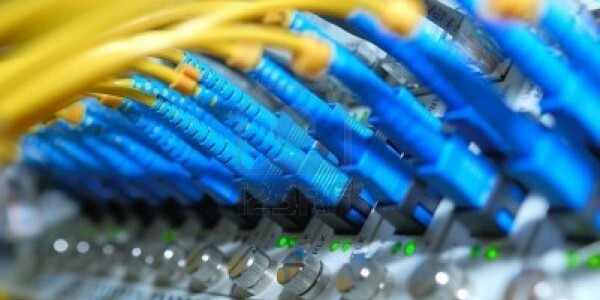 Tinout offers to implement any of the projects to build or upgrade the optical network based on our proven special solutions. 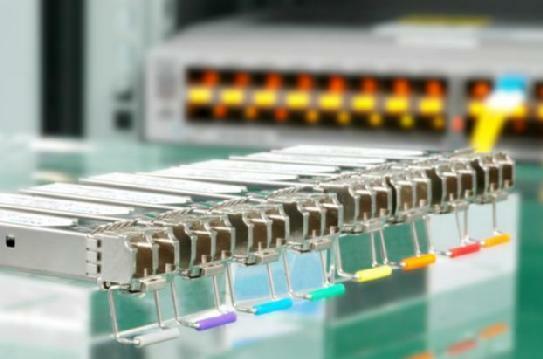 We take basic solutions developed by our engineers as the basis for the construction of a customized network scheme.